Have you ever tried honey and peanut butter together on a sandwich? How about honey on your pancakes for breakfast? Honey is a great complement to every meal! It can be eaten by the spoonful or mixed with other ingredients to make some deliciously sweet dishes. First, choosing which kind of honey you would like to use. Honey comes in all colors and flavors! In fact, there are more than 300 different varieties of honey in the United States and over 3,000 worldwide. Each of these honeys has a different color and flavor. The flavor of honey is determined by the nectar the bees gathered. Different flowers produce different flavors as well as different colors of honey. Some honey can be light in color and very clear, almost like water. Bees can also make honey that is thick and dark like molasses. Typically, the lighter the honey in color, the milder in flavor. Darker honey is stronger and bolder in flavor. Lighter honeys, like clover honey are great to eat on toast or to sweeten drinks. Many people like to sweeten coffee or hot tea with honey. Honey and green tea is great for when you have a sore throat. The hot tea helps to sooth while the honey coats and works to heal your throat. The next time you have a sore or itchy throat, try adding 2 tablespoons of honey to one cup of hot tea. Darker honeys like Buckwheat are great for cooking and baking. Here are three tips when you are baking with honey. 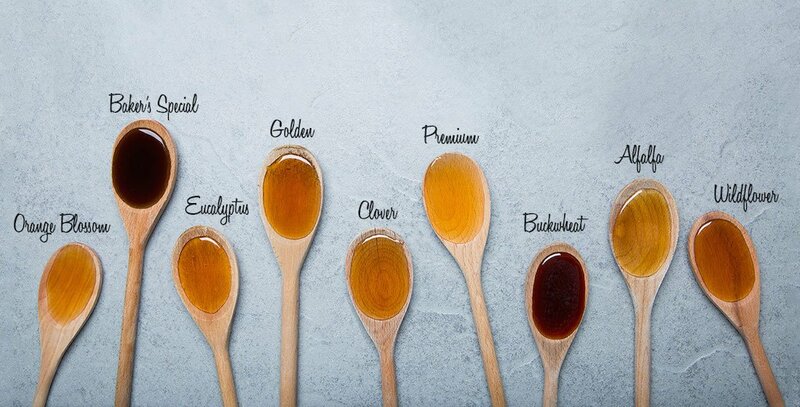 Reduce the liquid called for in the recipe by ¼ for each cup of honey used. Add ½ teaspoon of baking soda for each cup of honey used. Reduce the oven temperature by 25 degrees F to prevent over browning. Whether you’re making a honey glaze for a ham or just adding it to fruits or vegetables in a recipe, the stronger honey will add a bold delicious flavor. Try this simple recipe for honey carrots! Combine 1 cup carrots, 1 tablespoon butter and three tablespoons honey. Heat on medium heat for 12 minutes. Stir and enjoy! Both lighter and darker honey is a great alternative to other syrups. If you want to try something new, use honey instead of maple syrup on pancakes and waffles. Or next time you want some chocolate or strawberry milk, try adding honey instead! Try it on your ice cream. Besides its deliciously sweet taste, honey also has many health benefits that make it good for you. Honey is a good source of carbohydrates. Carbohydrates are your body’s primary fuel for energy. This makes it a great energy booster! 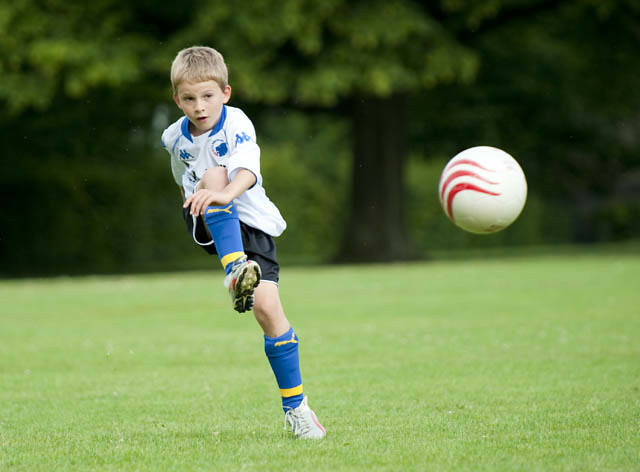 If you play sports, try some honey before your next game or practice to give you an extra energy boost. Many athletes and Olympians use honey for energy. There are also lots of vitamins and minerals in honey. Vitamins and minerals boost your immune system, help you grow and develop properly and help cells and organs do their jobs. Lastly, honey is antibacterial, so it kills bacteria and keeps you healthy. 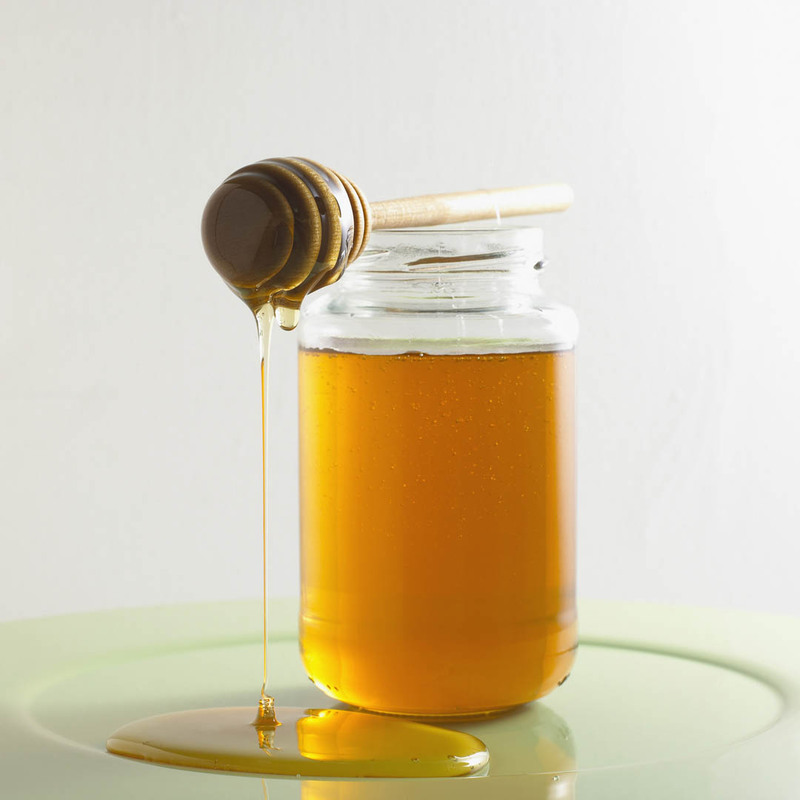 One last tip: remember to keep honey in your pantry--not your refrigerator. The cold will cause it to crystallize. However, if your honey does crystallize, put the container in a bowl of warm water and the crystals will dissolve. Honey never spoils!